A personalised cat lady wooden coaster. The perfect personalised gift for any cat lover. These solid chunky wooden coasters made a super gift and the perfect addition to your home. 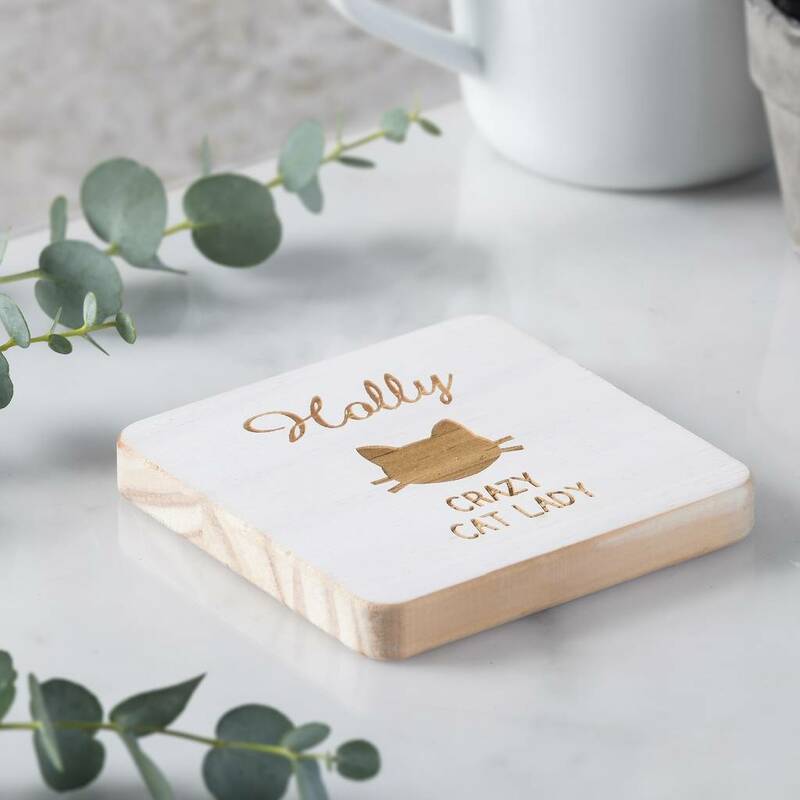 Handmade in our New Forest studio from chunky wooden off cuts, our wooden coaster are not only stylish but environmentally friendly too. 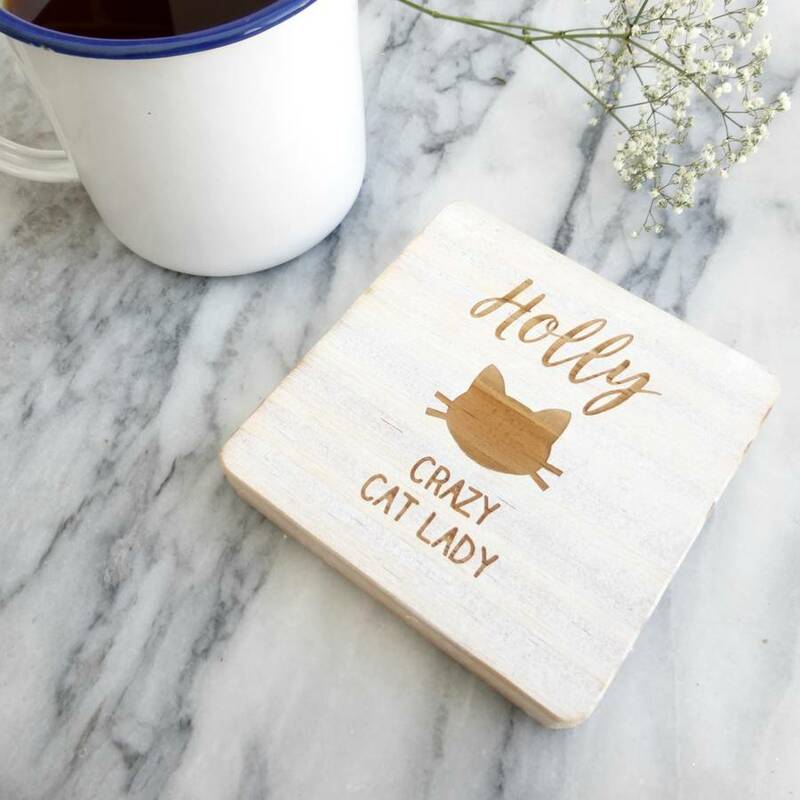 Each wooden coaster will be engraved with a sweet cat image and the text 'crazy cat lady' They can be personalised with a name of your choice.